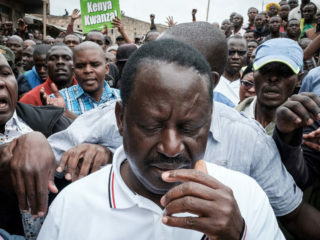 As was generally expected, the National Super Alliance (Nasa) of last year’s presidential hopeful Raila Odinga looks set to collapse. 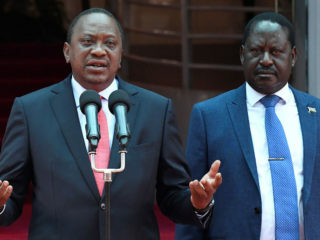 President Uhuru Kenyatta met opposition leader Raila Odinga in public on Friday for the first time since last year's hotly-disputed elections, with the pair promising to heal the country's divisions. 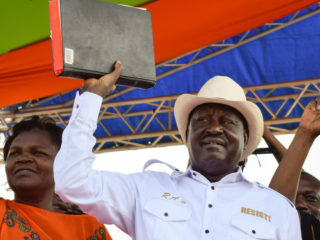 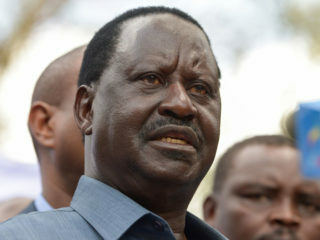 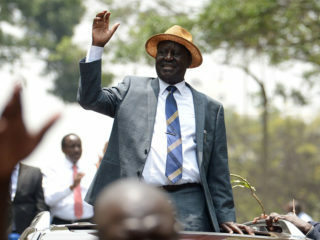 What next for Raila Odinga? 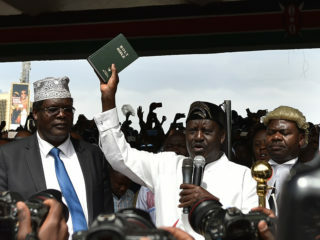 In what some have called a coup, Kenya’s opposition leader Raila Odinga was hastily sworn in in a mock ceremony as the “people’s president” by two lawyers in the presence of a sizeable crowd. 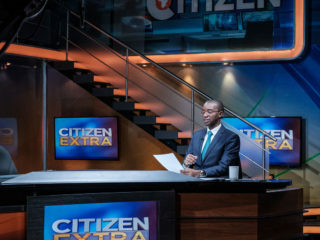 Kenya's leading private TV station Citizen TV was back on air Thursday a week after authorities suspended it and two other broadcasters for showing the mock inauguration of opposition leader Raila Odinga as president. 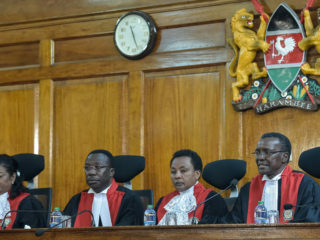 Kenya's chief justice on Wednesday criticised the government's recent defiance of a series of court orders -- actions that he said "threaten the rule of law." 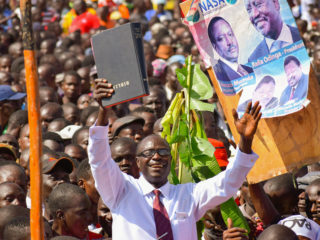 A Kenyan government critic appeared in court Tuesday to face charges related to the mock inauguration of the "people's president" Raila Odinga. 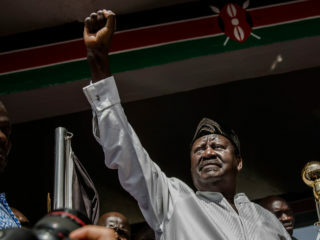 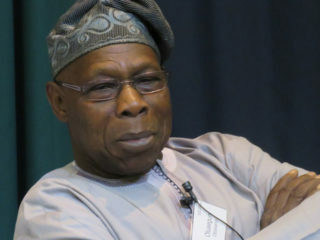 Kenyan police on Friday arrested an outspoken member of the opposition, Miguna Miguna, in a dawn raid on his Nairobi home, police and his party said. 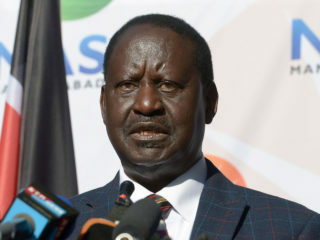 The United States on Thursday rejected Kenyan opposition leader Raila Odinga's "inauguration" as "people's president," while also criticizing the authorities' crackdown on several broadcasters that tried to cover it live.